Woman making a cocktail; image by Annie Spratt, via Unsplash.com. April is Alcohol Awareness month. Alcoholism is a big issue in America in 2019. While we are facing a heroin epidemic, we are also facing a massive alcohol problem. About 15 million Americans have a serious alcohol issue, and of that number, only about 6.7 percent seek treatment for their problem. Clearly, a huge discrepancy. Alcoholism does not discriminate either; it effects and shakes up all walks of life. I’d like to take this time to bring some attention to what it may look like if you, or someone you know, may have a drinking problem. Many alcoholics do no realize they have a real problem until they are very deep into their drinking. Here are some things to consider. It is fairly common prior to a night of drinking, to tell yourself how much you will allow yourself to indulge in. Most people know how much it takes them to get a buzz and also know what sends them overboard. So, while being aware of all the circumstances, many people will tell themselves, ‘only 3 beers tonight’ and very easily respect that limit! For some however, that limit is something that is always surpassed. There is an ugly cycle of making promises to yourself before drinking and then waking up the next day, hungover and unable to remember what happened the night before. The only thing you can remember is you promised yourself this wouldn’t happen, but it did yet again. 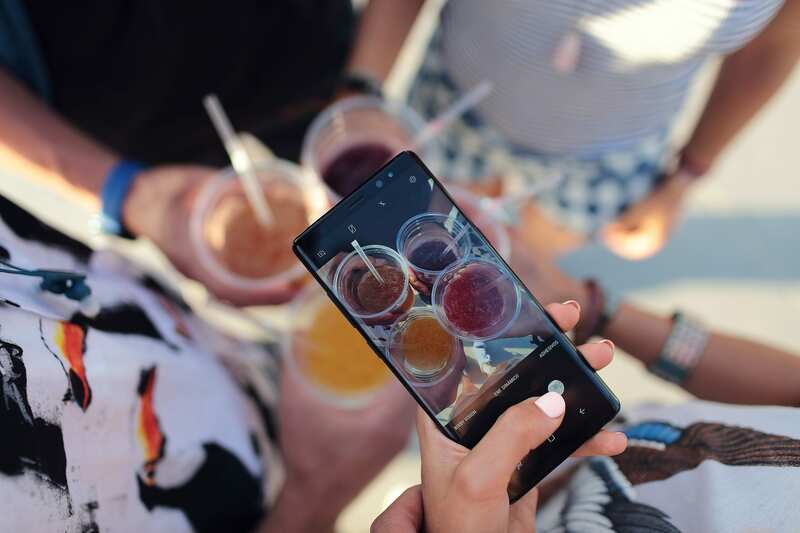 Person taking a picture of mixed drinks; image by David Calderón, via Unsplash.com. happens when they don’t feel like having a few beers wherever you are? For those with drinking issues, these types of situations usually make them at least mildly upset and bummed out. Are you able to accept a sober night or is it something that ruins your night? We are starting to enter serious territory when we look at reasons you are drinking. Life is stressful for all of us and there are many ways to deal with that stress. Some are much healthier than others. If you find yourself picking drinking over things like exercising or music or listening to a podcast to wind down, we are entering the everyday life of an alcoholic. Alcoholics first drink a lot simply because they like the effect produced by alcohol. After some time though, doing things and dealing with things sober seems like a huge obstacle and something you would much rather not do. The path towards alcoholism is a slow down spiral for the most part. It isn’t something that happens overnight and, as I stated earlier, it is something people don’t realize is a problem until they are very deep into it. If you relate to any of these signs, you don’t need to trot yourself to a rehab right away, but seek help in some form whether it is a therapist, a doctor or maybe you know someone who is now a sober alcoholic. Alcoholism can take away everything from you, but only if you let it. Daniel is a writer in recovery and also an outreach coordinator at Stodzy Internet Marketing. He likes to share his story to show that absolutely anyone can get sober provided they are ready to take action.